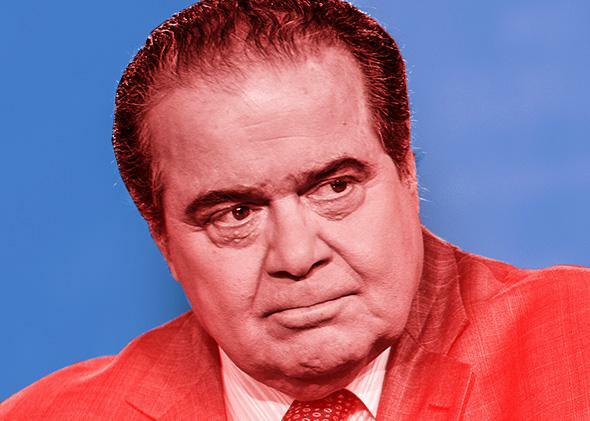 Supreme Court 2015: The conservative justices’ ridiculous dissents. Where was all this “five unelected judges” chatter when they handed down Citizens United? Photo illustration by Slate. Photo by Paul Morigi/Getty Images Entertainment. I was also quite struck, as you were, Mark, by the language in the various dissents in Obergefell, not just for their vehemence, but for the ways in which each dissent feels like a kind of Rorschach test of each justice’s own anxieties. Chief Justice John Roberts doesn’t want people to hate him, and he doesn’t want them to hate judges. (See, for example, his decision in Williams-Yulee, the Florida judicial speech case from earlier this term.) Then there’s Justice Samuel Alito: He doesn’t want to be called a bigot, and he doesn’t want people with strong conscience objections to marriage equality to be called bigots, either. And Justice Clarence Thomas doesn’t want the government to be in the business of conferring and taking away his dignity, or the dignity of others. He also doesn’t want his religious liberty trammeled. So everyone writes about how this opinion will hurt them and people like them. I mention this because one striking commonality in most of the dissents Friday is that weird vein of professional judicial self-loathing the dissenters choose to mine when they really want to go for the jugular. Whether it’s the chief justice’s jarring “Just who do we think we are?” to Scalia’s odd discursion on the lack of evangelical justices or real Westerners on the Supreme Court. (“Take, for example, this Court, which consists of only nine men and women, all of them successful lawyers who studied at Harvard or Yale Law School. Four of the nine are natives of New York City. Eight of them grew up in east- and west-coast States. Only one hails from the vast expanse in-between. Not a single South-westerner or even, to tell the truth, a genuine Westerner [California does not count]. Not a single evangelical Christian [a group that composes about one-quarter of Americans], or even a Protestant of any denomination.”) Scalia is just dripping with contempt for this “select, patrician, highly unrepresentative panel of nine.” He takes a whack at his colleagues—and, I guess, himself—for separate and concurring opinions loaded with “silly extravagances.” He invites his readers to feel as impotent in the face of this judicial tyranny as he feels. Recall back at oral argument when Elena Kagan said, “We don’t live in a pure democracy, we live in a constitutional democracy.” Isn’t that the answer to the dissenters’ political process questions? Or is that only the answer on campaign finance reform? Mark, I wonder if you would talk more about the failure of the majority holding to lay down any coherent doctrine. Kenji writes so powerfully about what Kennedy is doing at the interstices of Equal Protection and Due Process, but I wonder what your dream Obergefell would have said, and how it would have applied the 14th Amendment.